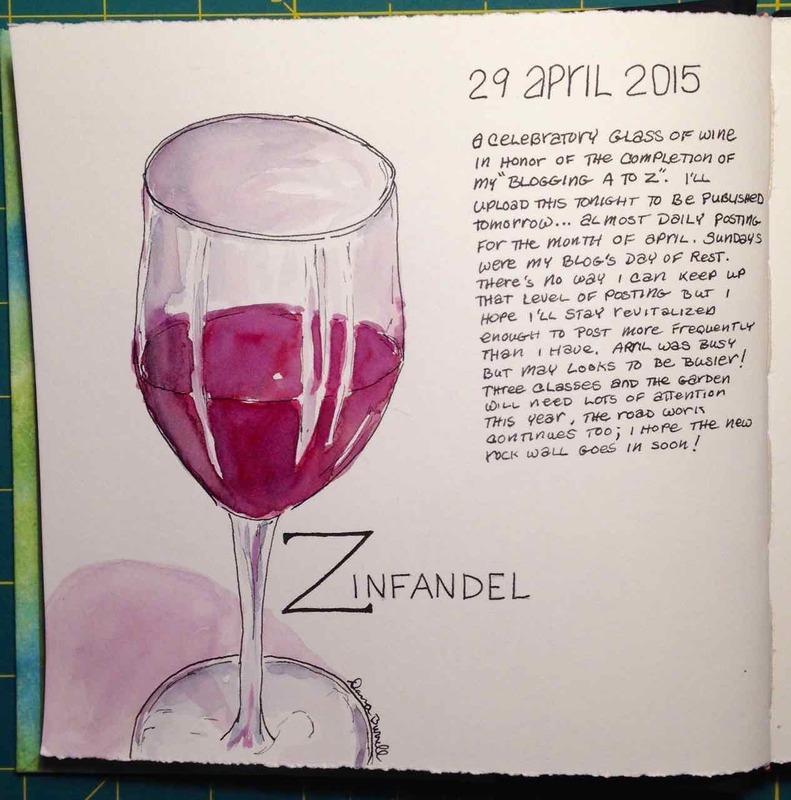 This entry was posted in Blogging A to Z and tagged ink and wash, Watercolor, Zinfandel by Dana Burrell. Bookmark the permalink. You are my sketching hero… What a great project! I love what you’ve done and I admire your persistence.